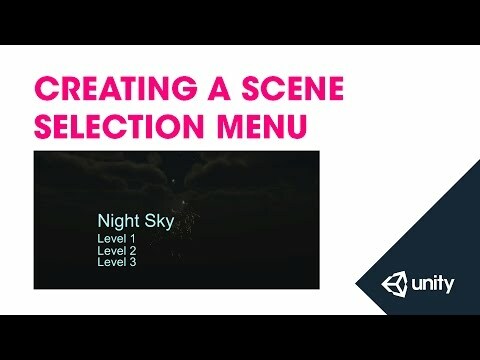 In this training session we'll create a menu using the UI tools from which we can choose and load a scene. We'll do some simple scripting to achieve this including looking at Application.LoadLevel, Object.DontDestroyOnLoad and Application.LoadLevelAdditive. Script to load a scene when clicked. The game object this script is attached to will not be destroyed when a new scene is loaded. Script to change the music playing after a scene is loaded. Script to add the selected scene without destroying objects from the current scene. Script to load a scene in the background while the current script plays (Pro only).